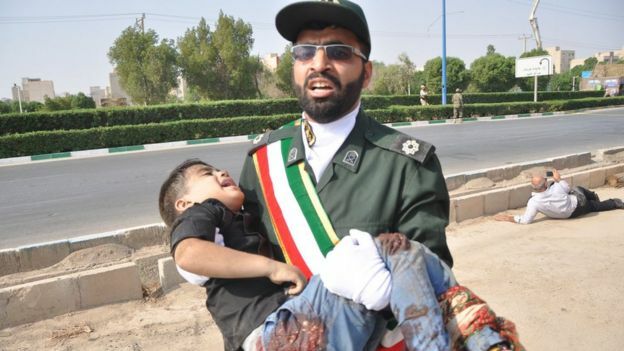 Gunmen have opened fire on an Iranian military parade in the south-western city of Ahvaz, killing at least 24 people including civilians, and injuring more than 50, state media say. The attackers shot from a park near the parade and were wearing military uniforms, reports say. Iran’s foreign minister said “terrorists” backed by “a foreign regime” were behind the attack. State media and officials have blamed Sunni militants or Arab nationalists. Iran is marking the anniversary of the beginning of the 1980-88 war with Iraq with several military parades across the nation. 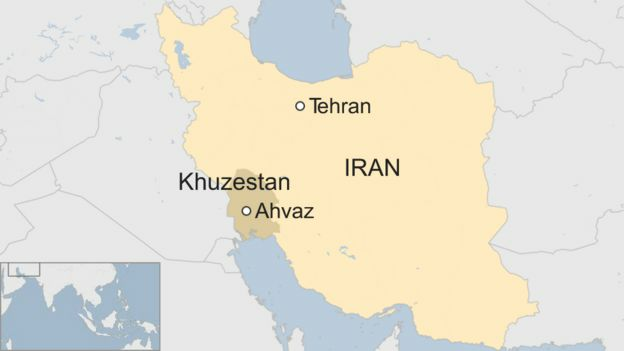 Fars news agency said the attack started at 09:00 local time (06:30 BST) and appeared to involve four gunmen. 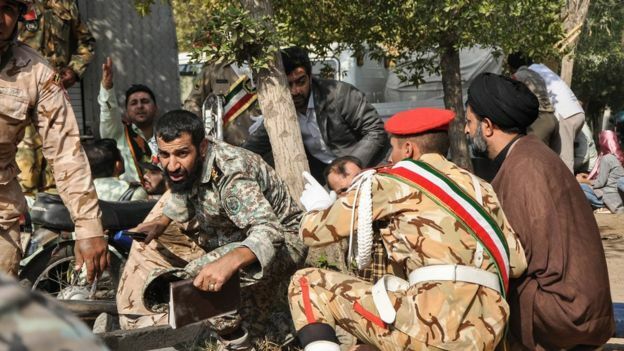 The attackers fired at civilians and attempted to attack military officials on the podium, Fars reports. Eight members of Iran’s Revolutionary Guard and a journalist are among those killed, reports say. 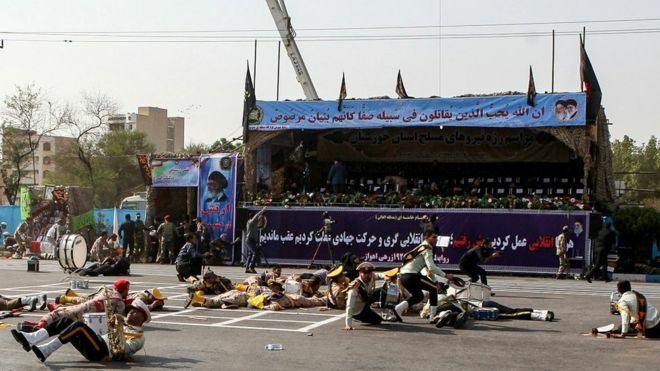 “There are a number of non-military victims, including women and children who had come to watch the parade,” Irna news agency said. Two of the gunmen were killed by security forces, while the other two were arrested, according to the local deputy governor, Ali Hosein Hoseinzadeh. No group has said it carried out the attack, which lasted for about 10 minutes. Iran has previously accused its regional rival, Saudi Arabia, of supporting separatist activity amongst Iran’s Arab minority. There was no immediate response from the Saudi government.